During my late twenties, I suddenly turned into a clean-freak (the first step is admitting it…) and became the type of person that made sure to take her makeup off every.single.night (yes, even when it is super-late, my eyes are heavy, and I can barely stand on my feet). 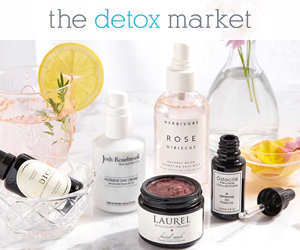 After entering my thirties cleansing really became non-negotiable. Removing dirt, sweat, and makeup off my face has become essential to keep my complexion healthy. However, I do understand that some people struggle with making time for it, so I thought I would share with you my latest cleansing discovery. 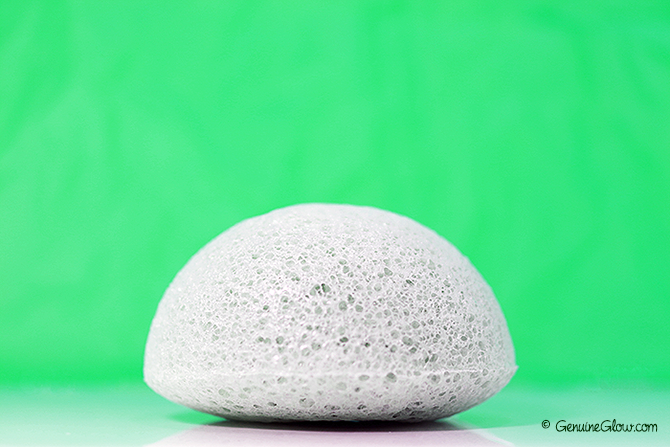 All you need is 2-3 minutes, some water, and this little object called a Konjac Sponge. I admit I was skeptical about it for quite a long time, but I was glad to find out that this little tool works! The Konjac Sponge* is made from a plant grown in Asia known as a Konjac Potato (yes, like a real potato!). The Konjac Potato has been used for 1500 years as a food in Japan and for the past century has been used as a beauty treatment. The potato naturally contains several vitamins and minerals. In addition to that, the Konjac Sponge Company brilliantly added different types of clay to the Konjac Potato fibers, which increased the sponge’s performance and benefits. My pick was the green clay sponge, which is suited for normal to oily skin. Green clay is known to be very effective at pulling impurities from the skin and revitalize the complexion. Before use the Konjac sponge is hard like a pumice stone. It requires soaking in water to soften in order to be used. Once it softens, it can be used directly on the skin without adding any cleanser. Cleanser can be added, but it is not necessary. I like to simply rub it (gently) against my skin in circular motions. It leaves my skin feeling very clean, very soft and with a little glow. I have been alternating the Konjac sponge with my morning cleanser (Pai Camellia & Rose Gentle Hydrating Cleanser) for a little while and I enjoyed it. I would not give up using a cleanser, but some days, especially when in a hurry, it is nice to have the Konjac sponge as an option. I have also used it to remove my makeup and it does so with minimal effort. I gently squeeze the water out and let it air-dry. According to the company, good care help it last up to three months. I have used it for a little over a month and it still looks perfect.